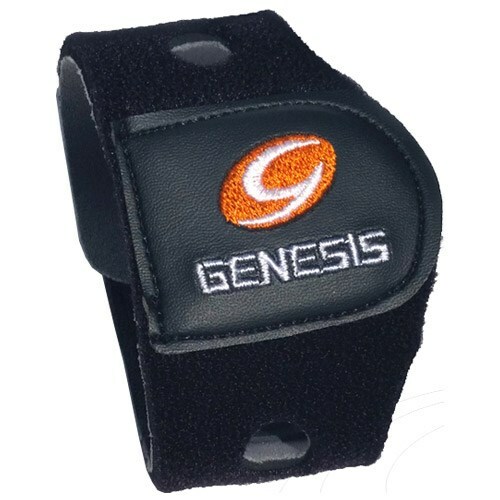 The Genesis Neoprene Power BandTMis an ultra-lightweight, durable magnetic aid providing complete unrestricted, flexible support. It helps to relieve tendonitis pain and prevent carpal tunnel syndrome while keeping your wrist therapeutically warm. The easy to use strap features a velcro tension adjustment to fit most bowlers. By Scott from Dublin, Va.
Been looking for this type of brace for a while. This product is light and dependable. It give me just enough support that i need for my wrist while bowling league, practice or tournament. Hello Jim! The best way to decide what size you need would be to look at the size of any gloves or wrist supports you already have and just to order the same size. 2 of 3 customers found this answer helpful. Did you? Yes | No Did you find this answer helpful? Yes | No Thanks for your feedback! At this time, it will only come in a medium or large. 0 of 1 customers found this answer helpful. Did you? Yes | No Did you find this answer helpful? Yes | No Thanks for your feedback! Most men get the large. Due to the time it takes to produce the Genesis Power Band Magnetic Wrist Band ball it will ship in immediately. We cannot ship this ball outside the United States.